This walk: 2008-4-17. 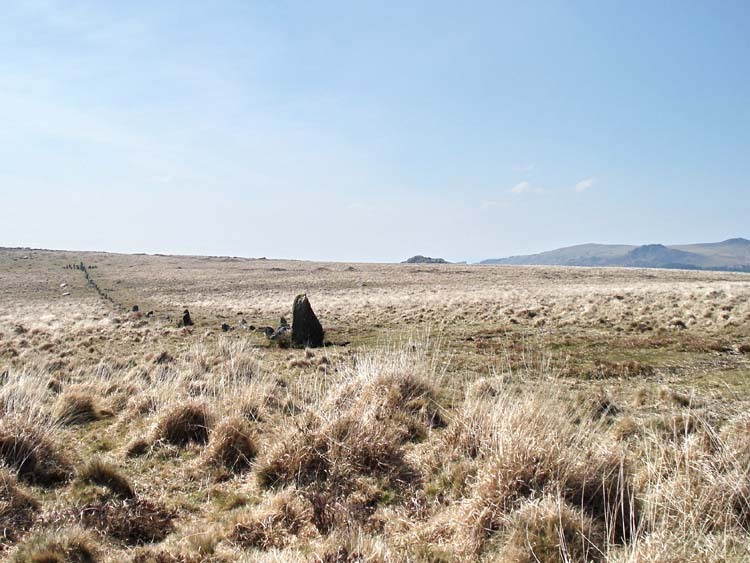 This short walk was on a gorgeously sunny day but with a near-force 8 gale blowing from the east. Many of the photos were taken against the sun. The walk was via Nun's Cross (not photographed this time but the cross can be seen HERE - 2007-9-16 and HERE-2007-9-27. Only the tinner's hut is repeated. 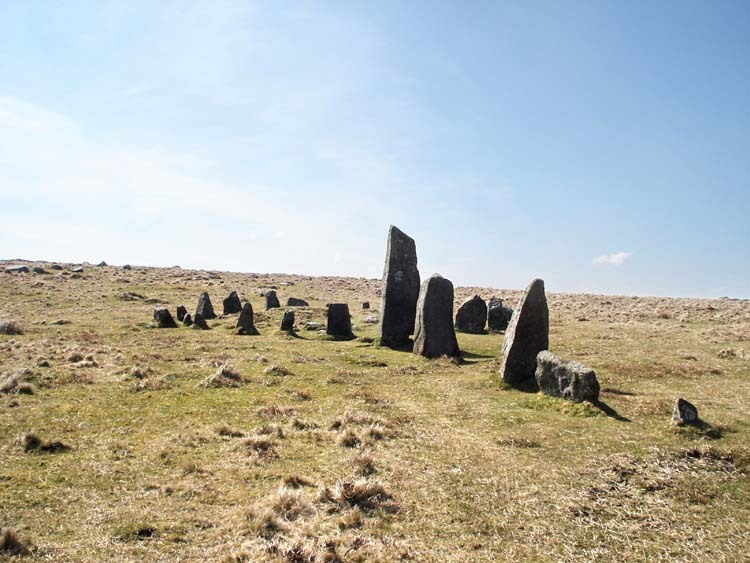 The main item of interest was the long stone row on Hingston Hill (as marked on the Harvey map but not on the 1:25,000 Ordnance Survey map). 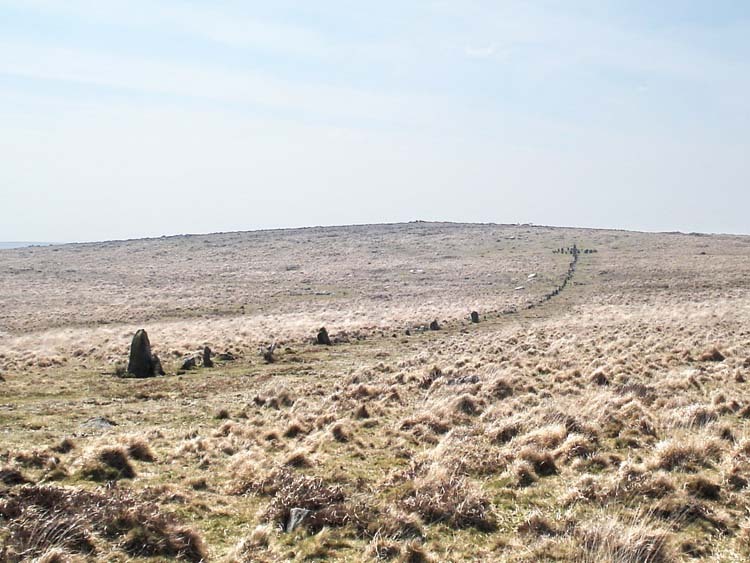 The walk was based on "Walk 10 - Nun's Cross and Hingston Hill stone row" in Shortish Walks on Dartmoor. 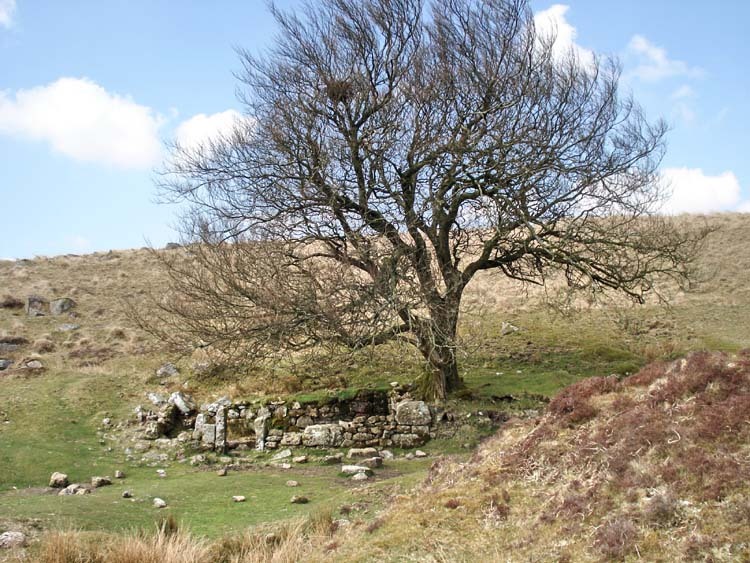 Tinner's hut at SX 60165 69915 with landmark tree at (more photos here at Whiteworks-2 2007-9-27). Restored cross at SX 59167 70293 (from Memory Map). 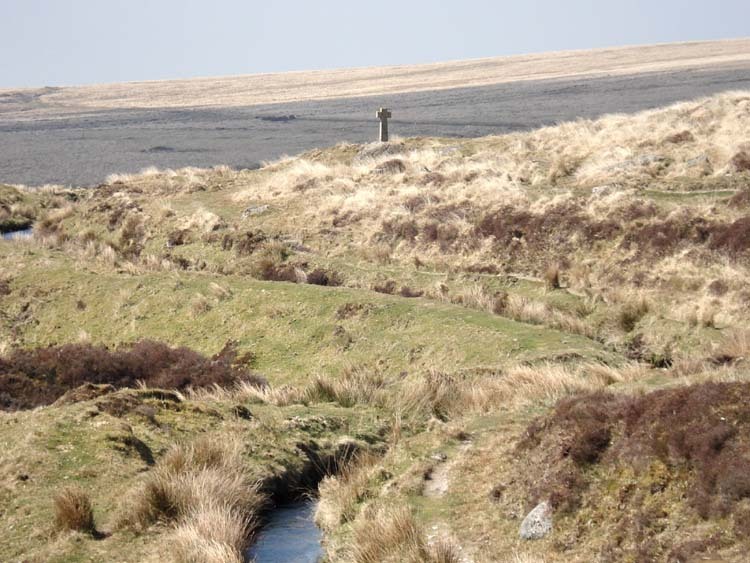 Part of Drake's Leat can be seen in the foreground. Photo taken from approximately SX 60080 69825. Eclosure at SX 59112 69478. The two settlements on the map prior to reaching this feature were not very photogenic. 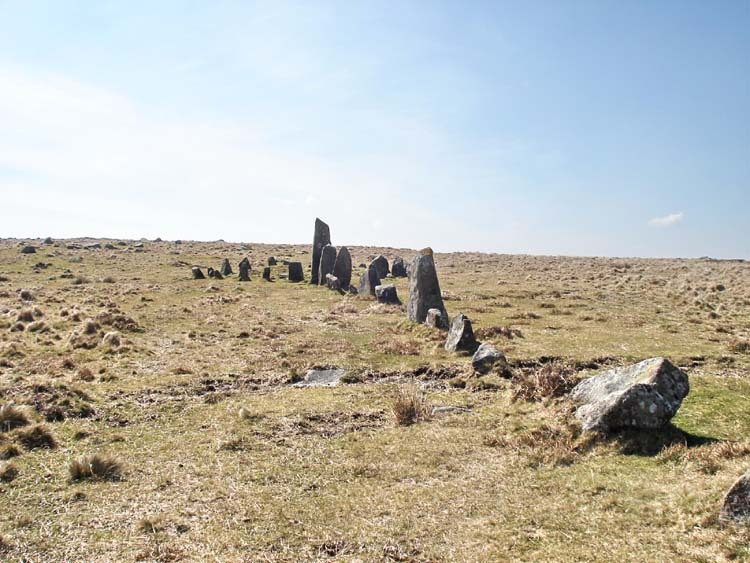 Early view of the stone row on Hingston Hill. 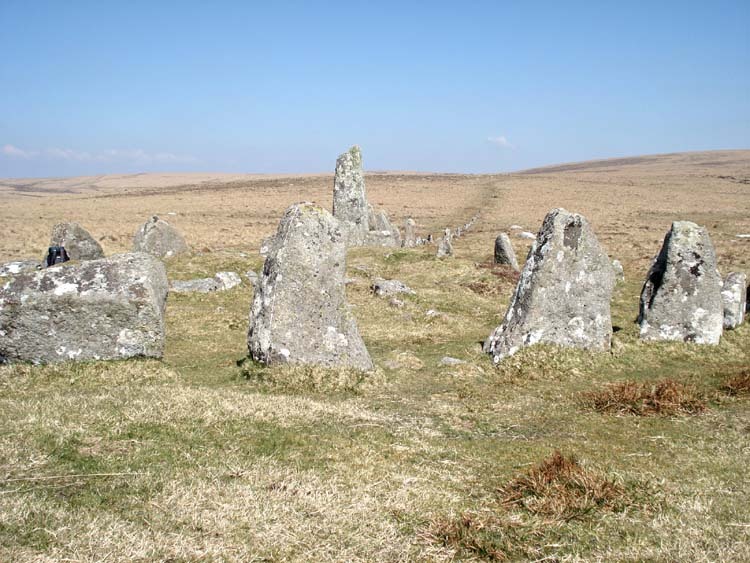 The centre of the row is at SX 58855 69310 (from Memory Map). Another view, similar to the previous photo. Ditto, more from the southerly side. 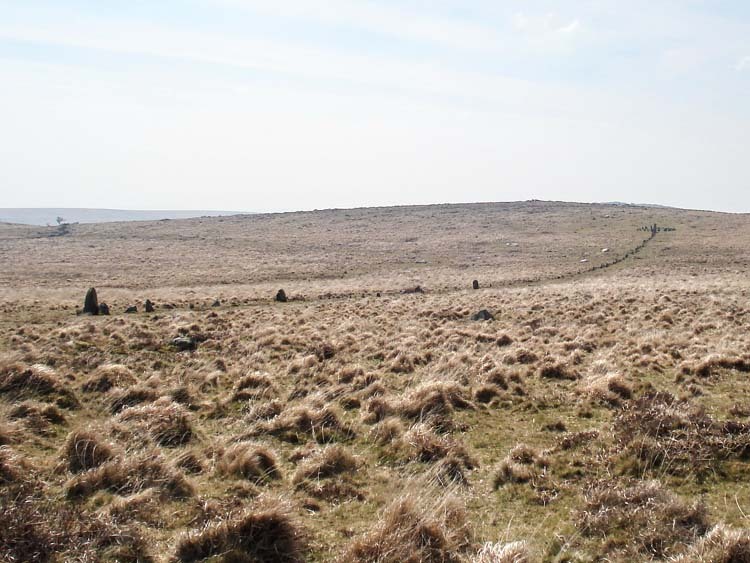 Down Tor showing above the skyline, with Leather Tor to the right (in mid-distance), Peek's Hill, Leather Tor (prominent in the mid-distance) and Sharpitor at the extreme right. 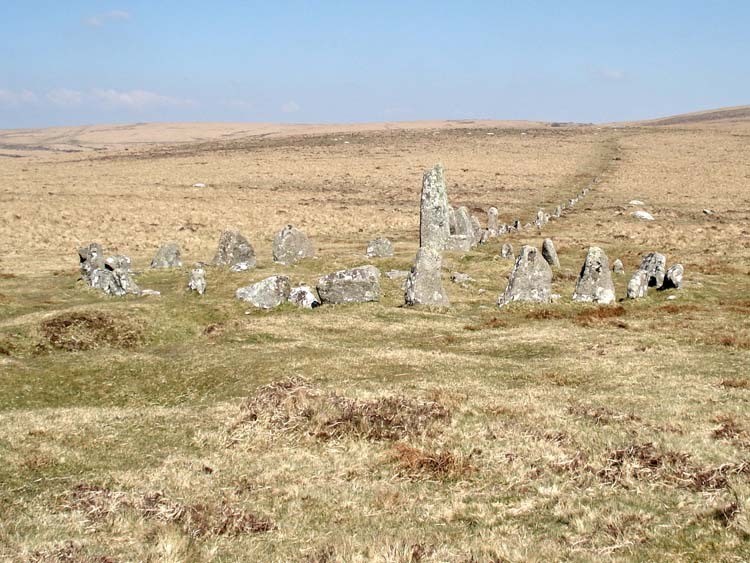 View along the row to the circle burial at the far end. Closer view of the previous. 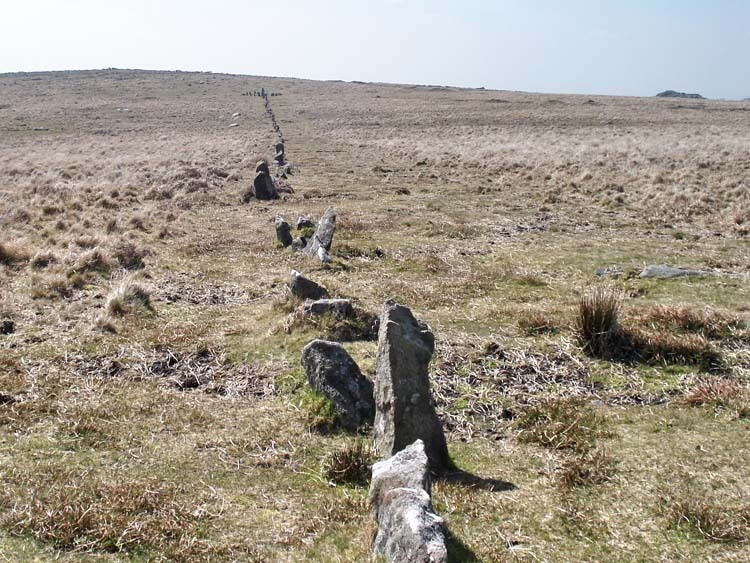 View from the Down Tor end back along the row. 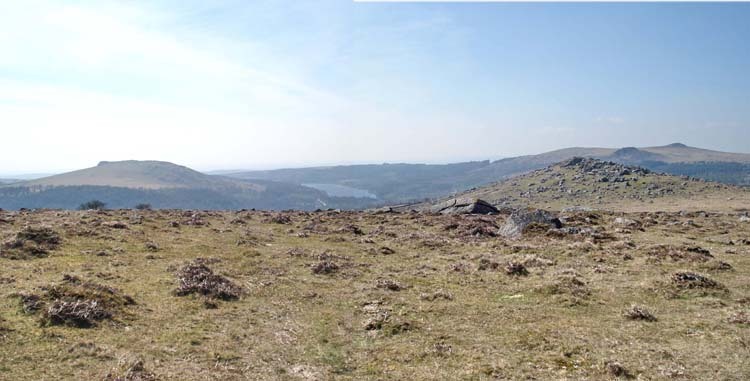 View from neat the top of the hill (near "372") with Down Tor on the right, Sheeps Tor on the left, and Burrator Reservoir in the centre. MAP: Blue = planned route, Red = GPS satellite track of the actual walk. The blue lines are the compass or GPS bearings. 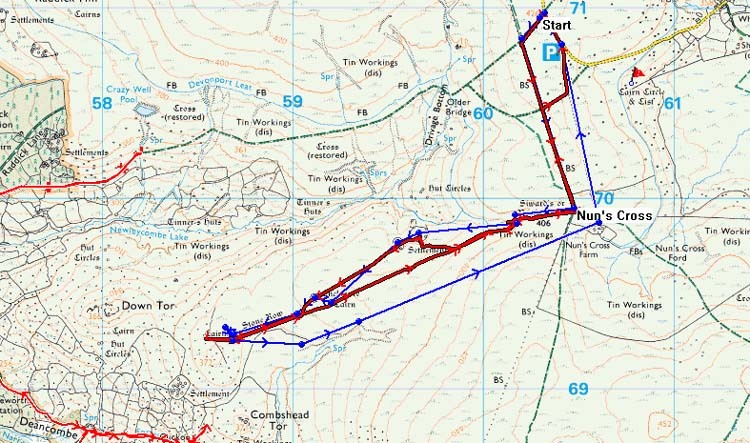 The red line is the route actually walked: it deviates sometimes from the blue lines to avoid obstacles such as thick bracken, gorse, bogs or clitter, and often to use paths or animal tracks that are not on the map. 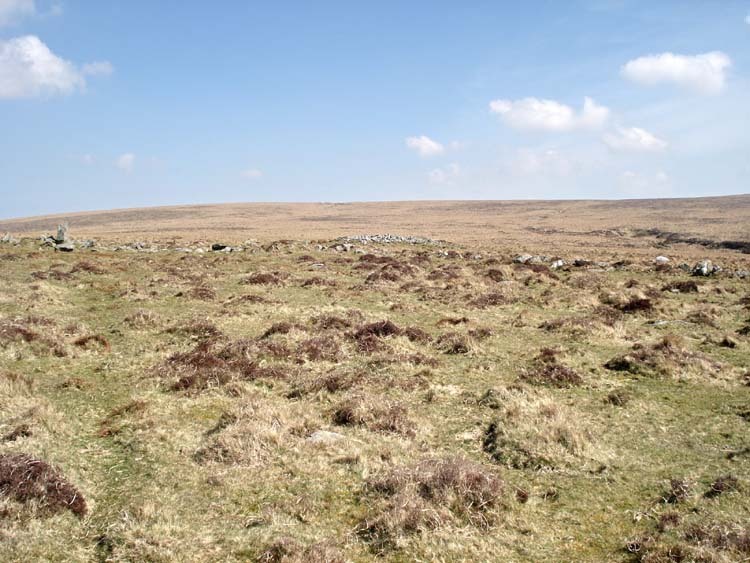 Access was easy, via Princetown and Tor Royal Lane (the first right turn straight after the Plume of Feathers pub/mini-roundabout from the Plymouth direction), down the road towards Whiteworks. Parking was at SX 60318 70975, although there is a larger park ( P on the map) at SZ 6041 7081. Distance - 6.8 km / 4.2 miles. Duration 2 hr 12 min.